Johnson's Baby Bedtime Bath - 300 ml | Multicolour | Hypoallergenic. Before your little one's bed, treat your baby to a warm bath for proper sleep time. 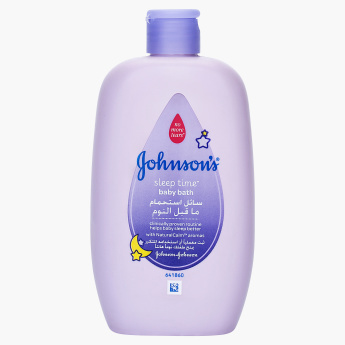 Before bedtime, treat your baby to a warm bath for proper sleep time using this bedtime wash. Perfect for everyday use, this wash is mild and it gently cleans dust and germs from your little one’s sensitive skin. Feature 2 : Perfect for everyday use with mild and soft touch. Feature 1 : Hypoallergenic. Before your little one's bed, treat your baby to a warm bath for proper sleep time. Feature 3 : Gently cleans dust and germs for your little one sensative skin.